This was the big get at BEA this year. And I didn't get it. Oh well. Looking forward to reading it someday! Shame you didn't get it at BEA. 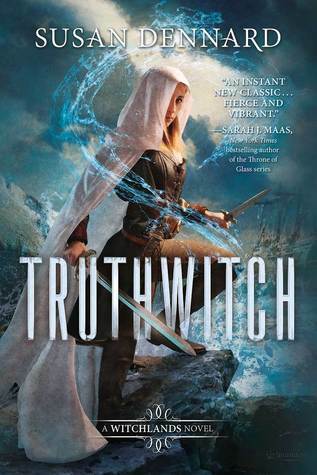 Truthwitch look amazing and I can't wait for it to come out! I hope you love it when you do get to read it. Looks awesome- love that cover, and the whole premise too. Looking forward to it. Yeah I think people almost came to blows about it. It sounds good. Might have to look into it when it comes out. How dare you not get it! I would so sell my soul for one. I just want it soooooo badly! I love that cover, I hope you enjoy reading it when you eventually get it! YES!! This is already on my TBR and I cannot wait to get my hands on it! Happy reading. I didn't have any interest in the zombie series by the author but this one fits with my reading style much more.